Gallagher, Catherine. 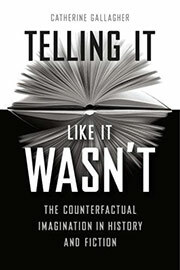 Telling It Like It Wasn't: The Counterfactual Imagination in History and Fiction . University of Chicago 2018. Summary: Scholarly volume on the origins and development of alternate history writing. Published: University of Chicago 2018 (022651241XBUY, 022651238XBUY).